Steven T. Newcomb (Shawnee/Lenape) is the indigenous law research coordinator at the Sycuan education department of the Sycuan Band of the Kumeyaay Nation in San Diego County, California. 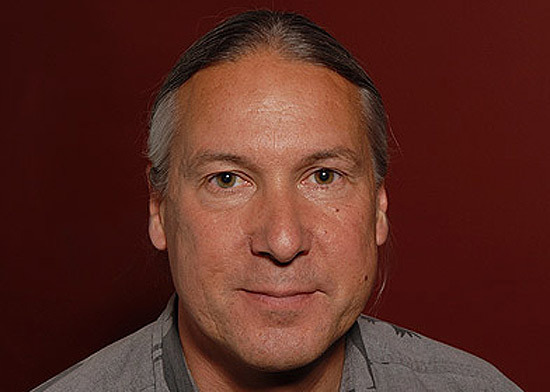 He is cofounder and codirector of the Indigenous Law Institute, a fellow with the American Indian Policy and Media Initiative at Buffalo State College in New York, and a columnist with the newspaper Indian Country Today. He has taught in the legal studies department at the University of Massachusetts at Amherst, and as a guest lecturer in the political science department at the University of Colorado at Denver. In 2004, Newcomb was named Writer of the Year in Journalism by the Wordcraft Circle of Native Writers and Storytellers for his Indian Country Today column “Bush Lets Freedom Reign.” Newcomb lives with his wife, Paige, in Alpine, California. This entry was posted in Make No Bones Shows and tagged Steven Newcomb, STEVEN NEWCOMB: PAGANS IN THE PROMISED LAND. Bookmark the permalink.